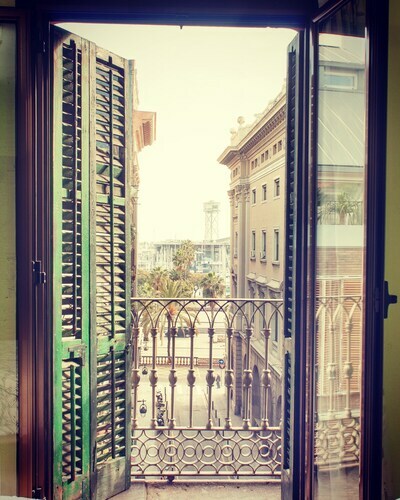 Located in Gothic Quarter, this hostal is steps from La Rambla and Barcelona Wax Museum. Columbus Monument and Boqueria Market are also within 15 minutes. Drassanes Station is only a 4-minute walk and Liceu Station is 8 minutes. 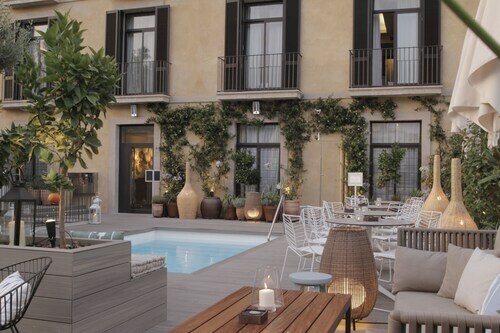 Located in Gothic Quarter, this hotel is steps from Palau Guell, La Rambla, and Placa Reial. Boqueria Market and Barcelona Cathedral are also within 10 minutes. Liceu Station and Drassanes Station are within a 5-minute walk. 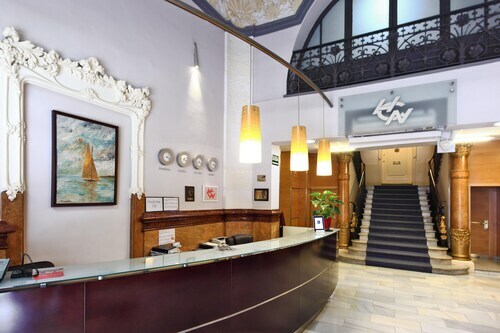 Located in Ciutat Vella, this hotel is within a 10-minute walk of Basilica de Santa Maria del Mar, Port Vell, and Picasso Museum. Barcelona Aquarium and Parc de la Ciutadella are also within 10 minutes. Barceloneta Station is only a 2-minute walk and Barcelona Franca Station is 3 minutes. 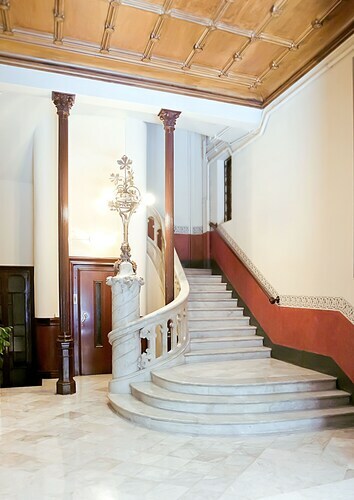 Located in Eixample, this hotel is within a 10-minute walk of Tivoli Theatre, Placa de Catalunya, and Palau de la Musica Catalana. Passeig de Gracia and Rambla de Catalunya are also within 10 minutes. Urquinaona Station is only a 5-minute walk and Tetuan Station is 5 minutes. 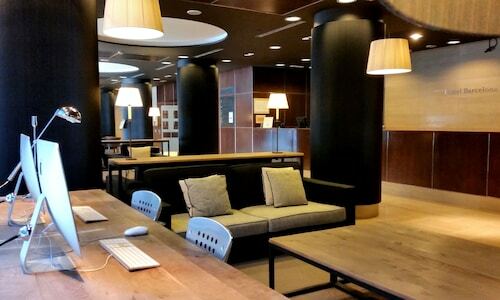 Situated in Cornella de Llobregat, this hotel is 0.5 mi (0.8 km) from RCDE Stadium and 3 mi (4.9 km) from Fira Barcelona. Camp Nou and Placa d'Espanya are also within 6 mi (10 km). 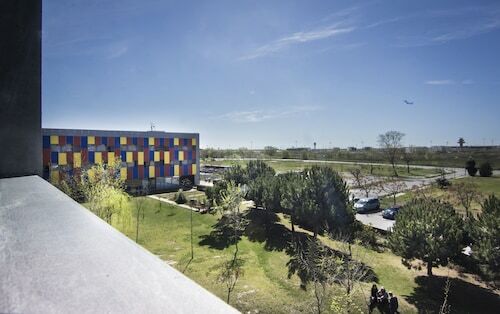 Almeda Station is 10 minutes by foot and Cornella-Riera Station is 15 minutes. Located in Eixample, this pension is within a 10-minute walk of Placa Universitat and Sant Antoni Market. La Rambla and Placa de Catalunya are also within 15 minutes. Sant Antoni Station is only a 3-minute walk and Urgell Station is 6 minutes. 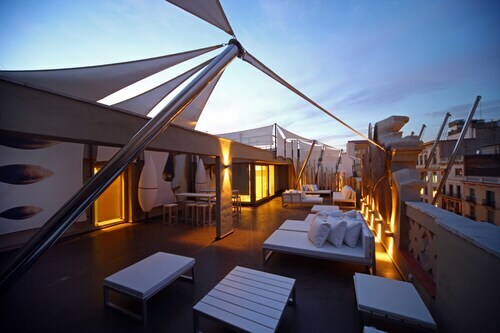 Located in Eixample, this boutique hotel is within a 15-minute walk of L'Auditori, Barcelona Zoo, and Arc de Triomf. Sagrada Familia and Palau de la Musica Catalana are also within 1 mi (2 km). 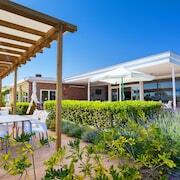 Marina Station is 5 minutes by foot and Barcelona North Bus Station is 7 minutes. Located in Eixample, this pension is within a 5-minute walk of Passeig de Gracia and Tivoli Theatre. Casa Batllo and Placa de Catalunya are also within 10 minutes. 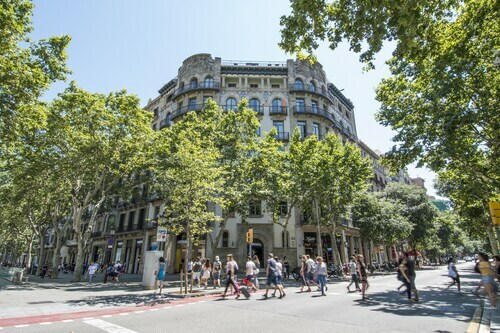 Passeig de Gracia Station and Barcelona Paseo de Gracia Station are within a 5-minute walk. 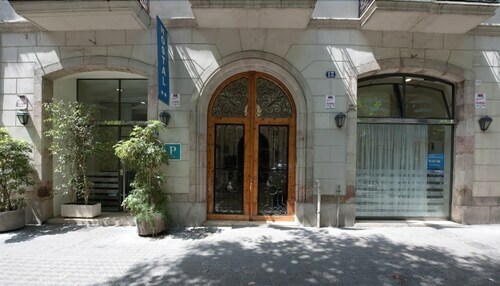 Located in Eixample, this hostel is steps from Casa Amatller, Casa Batllo, and Passeig de Gracia. Placa de Catalunya and Casa Mila are also within 10 minutes. Passeig de Gracia Station and Barcelona Paseo de Gracia Station are within a 5-minute walk. Located in Gothic Quarter, this pension is steps from Gran Teatre del Liceu, La Rambla, and Boqueria Market. Palau Guell and Placa Reial are also within 5 minutes. Liceu Station is only a 2-minute walk and Drassanes Station is 6 minutes. Looking to break out of your routine for some much needed rest and relaxation? 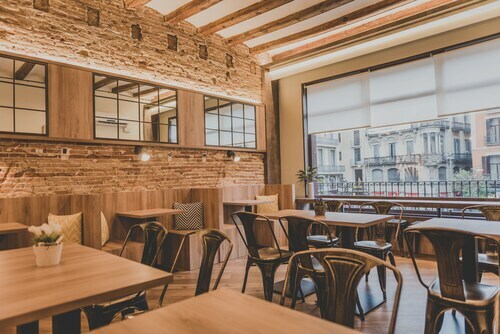 Or maybe you’ve already decided it’s time for a trip and are trying to find affordable hotels in Barcelona that won’t bust your travel budget? 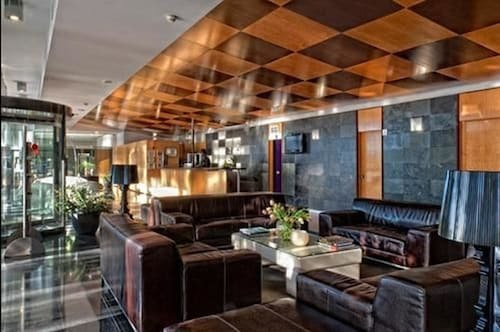 Barcelona 2 star hotels will give you everything you need to enjoy the city like a local, saving a ton of money so you can hit all the hot spots in town. As you explore a new locale, or one you love to visit over and over, you can rest easy knowing you’re staying in a great hotel that lets you discover Barcelona and welcomes you back to a clean, comfortable room at night. 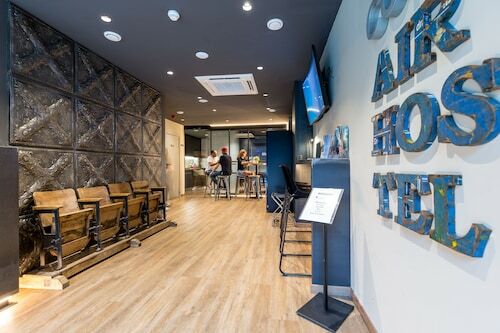 Browse Travelocity’s wide selection of 2 star hotels in Barcelona and find one that’s perfectly priced and places you next to all the best activities and sights. The town is your oyster, and we can help you seek out its secrets while sticking to your budget.